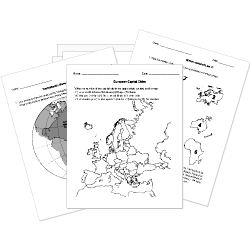 You can create printable tests and worksheets from these Grade 8 Australian Geography questions! Select one or more questions using the checkboxes above each question. Then click the add selected questions to a test button before moving to another page. The longest landform located mostly inland along the east coast of Australia is called the Eastern Highlands . The three main groups of landforms in Australia are Highlands, Lowlands and Water bodies. Australia does not have any active volcanoes. The continent of Australia sits in the middle of a plate called the Indo Australian plate. Most of Australia's population live along the coastline. Give one reason why.